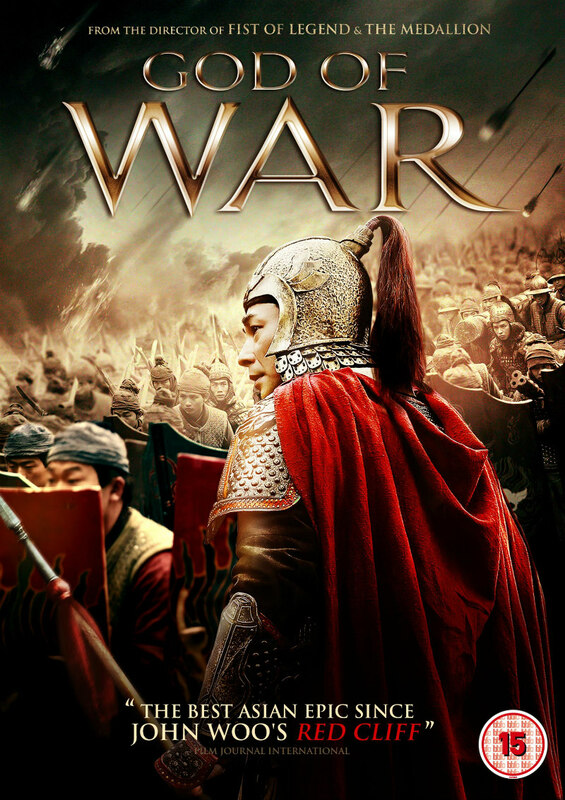 A legendary Chinese general must face an overwhelming Japanese invasion. There are no less than six production company intros before God of War has even begun, giving an idea of the amount of money and co-operation necessary to make this film possible. Fortunately, they come together to pull off some of the most impressive battle sequences seen this decade. Unfortunately, God of War has similar pitfalls to other films of this genre and blockbuster Chinese films in general; a distinct lack of human engagement. The year is 1557. A Japanese invasion force made up of trained samurai and bloodthirsty mercenaries have taken the Chinese coastal town of Cengang. After his previous success against such 'pirates', it befalls the renowned General Qi (Wenzhuo Zhao) to finish the siege and purge this great force from China for good. What could have been outright propaganda, rapacious Japanese against the noble Chinese, is actually a somewhat layered film with established characters and motives on both sides of the fight. The respect of the filmmakers passes down to the leads, the rivalry of Qi and Commander Kumasawa (Yasuaki Kurata) reminiscent of Jack Aubrey (Russell Crowe) and his French adversary in Master and Commander. God of War is attentive to a fault when it comes to historical authenticity, a middle section bloated by talk of an internal Chinese politics that never impacts the narrative at large. An early element of the plot is a Japanese general imprisoned on the Chinese mainland; this isn't followed up on as the plot progresses. As a lead, Qi is a cipher. The audience never really feels his irritation at the Chinese higher command, nor at the sacrifices he and his men must make for victory. Great effort is made to mourn characters thinly established. The most enjoyment I had with any of the characters was Lady Qi (Regina Wan). While at first her subplot feels as if it is going through the motions to justify a female lead, as the film progresses and she becomes more integral she is a joy to watch, asserting herself both against her husband and the Japanese invaders. Where the film really stands out is not in character development but in its set-pieces. The film opens with a visceral attempt to lift a siege, and every battle henceforth is an escalation. Gunpowder (a Chinese invention) explodes across the screen. Even in the heat of battle, director Gordon Chan can focus on visual flourishes as tiny as the twist of a spear. A minor point is that the definition of the Japanese army is 'pirates', which makes me wish there had been a little bit more plundering and naval warfare. The film makes a success of its martial arts sequences, hand to hand combat deftly interweaved with the clashing of armies. The highlight is when Qi faces off against a miner in order to secure his service, in a sequence that comes closest to any social subtext in the film. God of War is the sort of film the Politburo loves to see, a spectacular and historic representation of an ascendant China. It's also far more watchable and authentic than this year's mess, The Great Wall. Alas, God of War stands as more a film of spectacle than substance, and while enjoyable at times may not linger in the memory. The wait for Chinese films that can combine Sixth-Generation character study with state-approved high production budgets continues. God of War is on DVD, blu-ray and digital now.